I have been a Brooklyn photographer since moving to New York in 2008. I was not always a Brooklyn photographer. I was born in Savannah, and grew up in a town just outside of Atlanta, Georgia. I went to college in Rome, Georgia. After graduating from college, I lived in Brooklyn for a few brief months. From there, I moved to Tallahassee, Florida. I went on to live in Tallahassee for almost 8 years. It was in Tallahassee that I began my wedding photography business. I had been a stay-at-home mom for a little over a year, and was looking for something that I could do as a part-time business. I had always wanted to own my own business, but was never sure what the right business would be. I knew from the second that I picked up my first camera and photographed my first wedding, wedding photography was going to be my future. I hit the ground running in 2001, and never looked back. 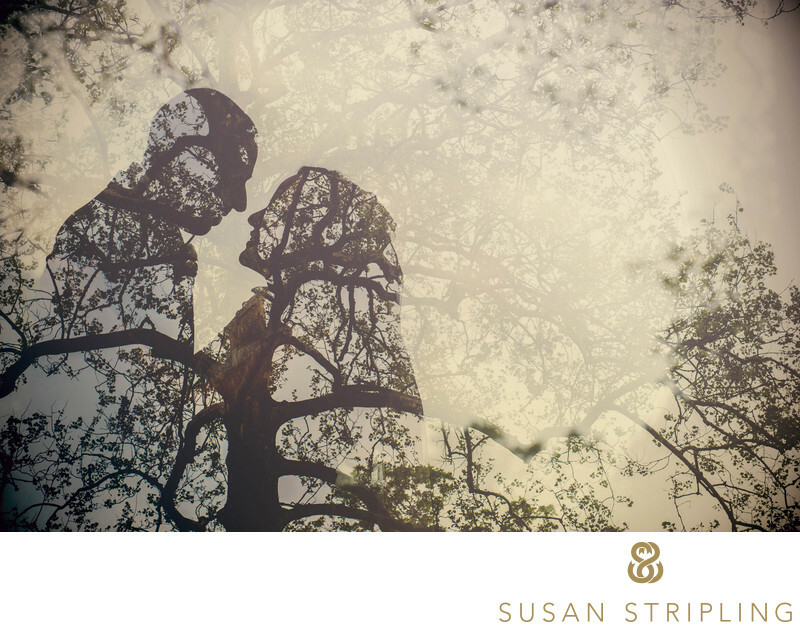 In 2008, I moved to Brooklyn and began my New York-based wedding photography business. 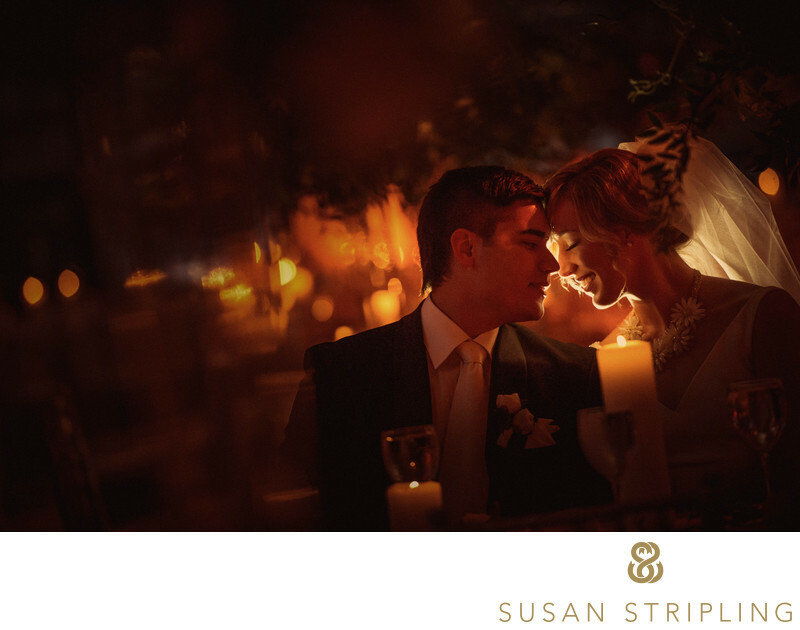 I knew from the very first time that I photographed my first New York wedding, that I had I truly found my home. My first few years as a Brooklyn photographer took place in Park Slope. 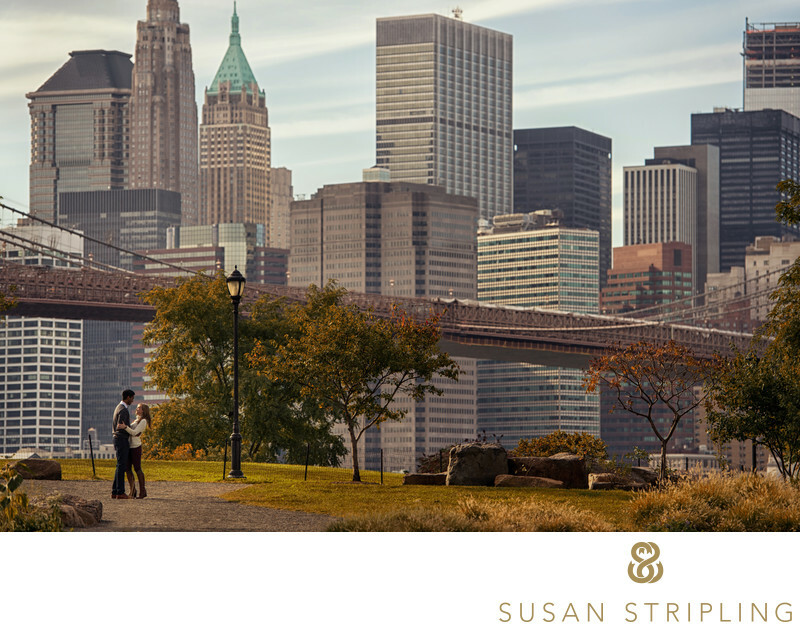 I lived in a wonderful apartment in the heart of Park Slope, and met my wedding clients in that neighborhood. I eventually moved out of Park Slope, and over to Windsor Terrace. 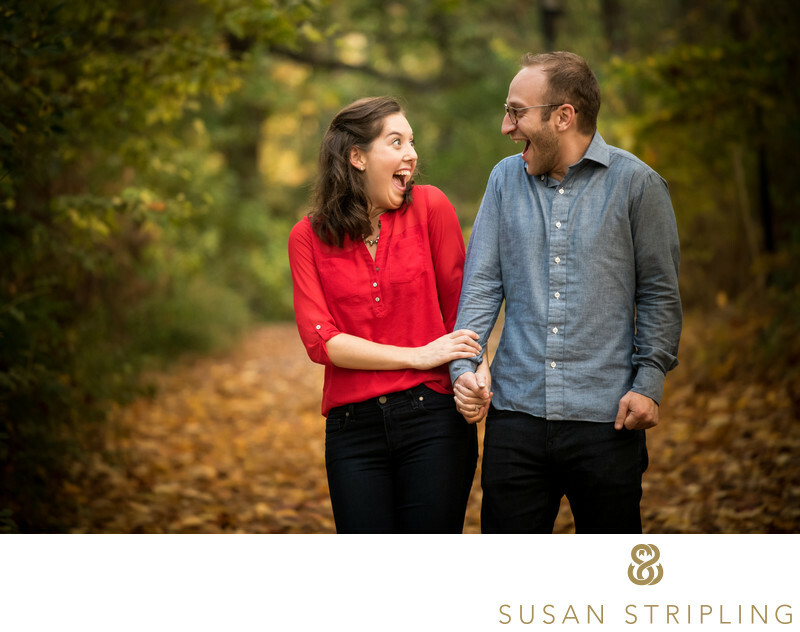 For several years I met my wedding photography clients out of my apartment in Windsor Terrace. 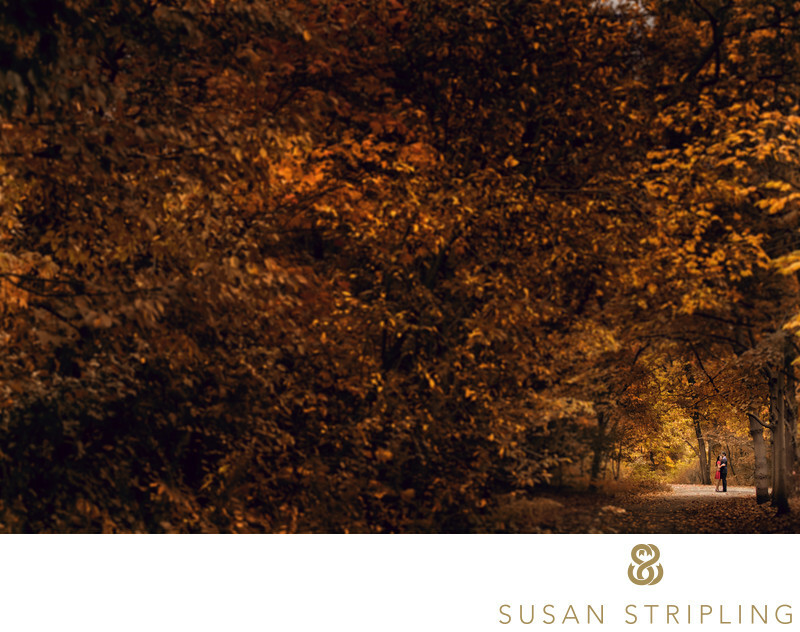 While I loved the ease of meeting my clients in my own home, eventually it was time to separate my business and personal life. 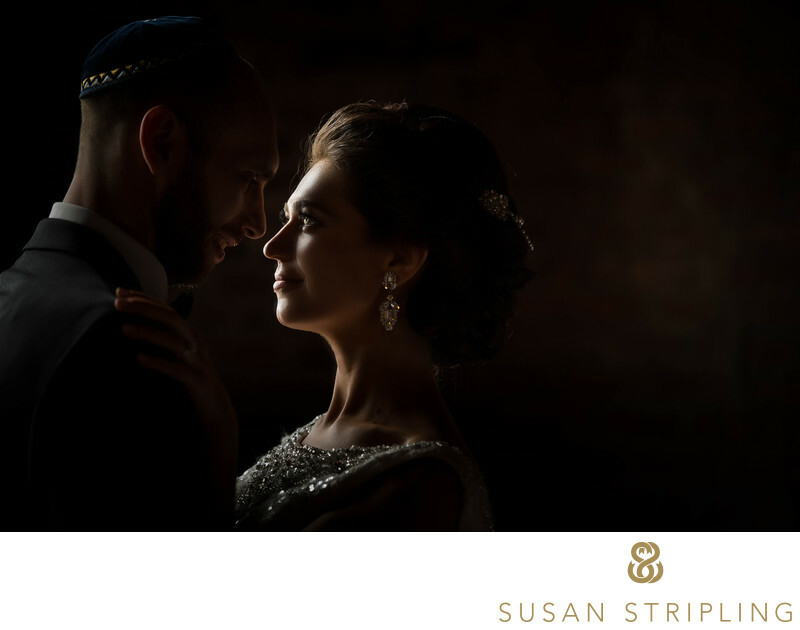 In 2014, I opened my first Brooklyn wedding photography studio in Crown Heights. 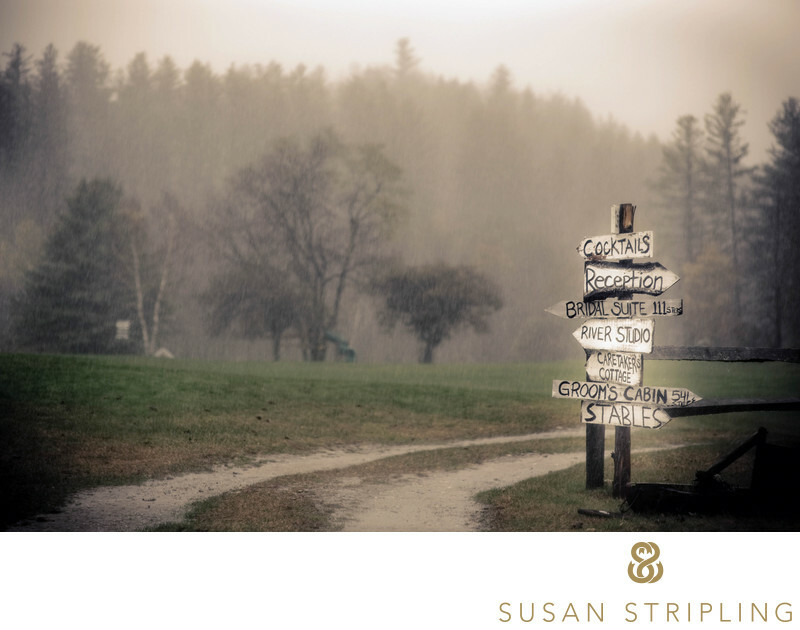 It was wonderful to move my business out of my home, and in a dedicated studio. I loved the building that my photography studio was in, and spent three wonderful years as a tenant of that space. In 2017, I moved my wedding photography studio from Crown Heights to Sunset Park. My photography studio currently resigns in a thousand square foot studio in Industry City. I’d love to have you come visit - it’s a great space! When I was looking to open my Brooklyn wedding photography studio, I looked long and hard for just the right space. I wanted a lovely, light, airy place that I could meet wedding clients. I also wanted some natural light. I wanted to be able to shoot headshot photography, theatre photography, and portrait photography in my studio. As I live in Windsor Terrace, considered to be in Central Brooklyn, I first started looking to make my home as a Brooklyn photographer near to where I actually lived. I looked for a photography studio in the Prospect Park area first. I looked at studios in Kensington, on Ocean Parkway, in Prospect Lefferts Gardens, in Prospect Park South, and in West Midwood. Unable to find a photography studio space there, I looked at real estate in Wingate and Midwood, finding nothing. I also carefully scoured real estate listings in Beverley Squares, Flatbush, East Flatbush, Farragut, Fiske Terrace, and Pigtown, all to no avail. Frustrated with my search in the Prospect Park area, I expanded my search to Ditmas Park, Crown Heights, and Weeksville. I found my studio in Crown Heights, and stayed there for three years. After my lease was up in Crown Heights, it was time to move. I looked in Barren Island, Bergen Beach, Georgetown, Coney Island, Brighton Beach, Brooklyn’s Manhattan Beach, Sheepshead Bay, and Sea Gate. I toured studios in Flatlands, Gerritsen Beach, Gravesend, White Sands, Homecrest, and Marine Park. I looked at studio listings on Craigslist for Mill Basin and Plumb Beach. Eventually I decided that Southern Brooklyn was too far of a commute, both for myself and for my clients. I also nixed photography studios in Northern Brooklyn for the same reason. It simply took too long for me to get to Bushwhack, East Williamsburg, Williamsburg, and Greenpoint. I wish the commute hadn’t been so long, since Williamsburg and Greenpoint had some amazing potential wedding photorgaphy studio spaces that would have been perfect! 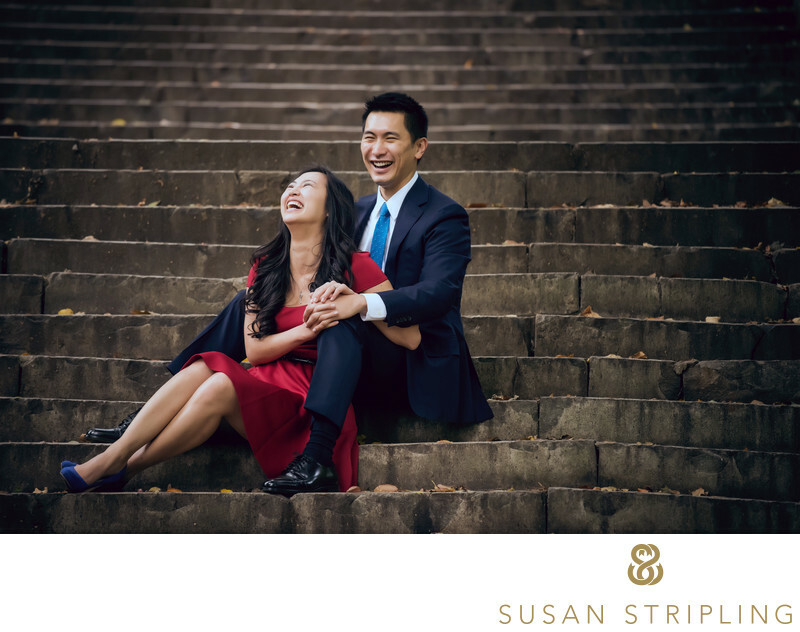 For a long time, Northwestern Brooklyn was my ideal location for a wedding photography studio space. I have always loved the Brooklyn Heights and Brooklyn Navy Yard area, especially Admiral’s Row. I love Cadman Plaza and the beauty of Clinton Hill. I looked at photography studio spaces in Downtown Brooklyn, Bridge Plaza, RAMBO, DUMBO, and Fort Greene. Finding nothing that really suited my studio needs, I looked in Fulton Ferry, Pacific Park, Prospect Heights, and Vinegar Hill. I found a few studios that were almost perfect in Vinegar Hill, Boerum Hill, Carroll Gardens, and Cobble Hill. I came very close to signing a lease on a lovely, airy space in Gowanus. I toured many studio spaces in Park Slope, South Park Slope, and Greenwood Heights. I considered Red Hook, lured in by the Fairway and Ikea! Eventually I decided to make my wedding photography studio home in Western Brooklyn. After looking at Bath Beach, Bay Ridge, Bensonhurst, Borough Park, Dyker Heights, Mapleton, New Utrecht, and Chinatown, I discovered Industry City in Sunset Park. 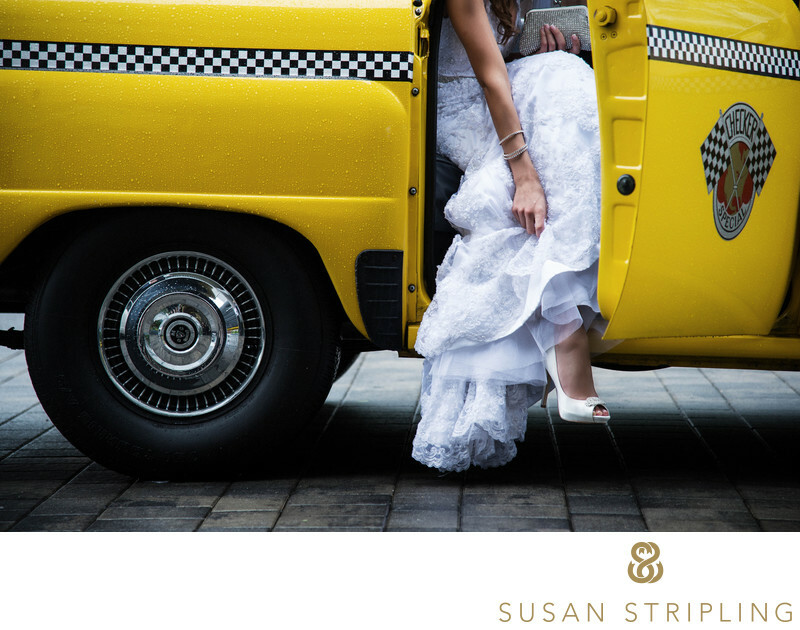 The vibe and vibrancy of Industry City was the perfect fit for my wedding photography studio. I immediately fell in love with both the neighborhood and the property. Industry City is home to some extraordinary business. I am so happy to be a part of that community. As a Brooklyn photographer, I have also found a great love for many of the incredible wedding venues that Brooklyn has to offer. It’s truly an incredible borough, with many amazing places to get married. It is also important to know and understand the venues nearby. 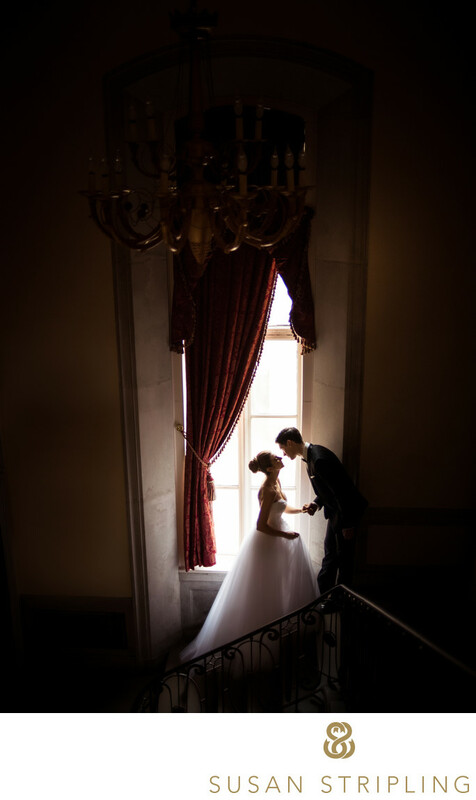 As a wedding photographer, I have to be able to shoot in a variety of difficult venues and locations. As a Brooklyn photographer, I have become very familiar with most of the venues around. If you’re getting married in Brooklyn, ask your Brooklyn photographer if he, she, or they have worked at your venue before. While it’s absolutely not a prerequisite to being able to create beautiful work there, it’s nice if your photographer is at least slightly familiar with the space. They don’t have to have shot there to be familiar with it! There are so many Brooklyn wedding venues that they’re impossible to list, but I’ll try! I love the quiet hotel charm of the The William Vale in Williamsburg. I adore the extraordinary luxury of the Weylin, which used to be the Williamsburg Savings Bank. If you’re still looking in Williamsburg, also consider the MyMoon restaurant. It’s so charming, and truly captures the feel of this unique neighborhood. Dobbin Street is also located nearby, and it’s a cool new factory event venue space. I used to live in Williamsburg, so I always love coming back to Brooklyn weddings here! If you’re looking for an amazing outdoor space, look no further than Patina Events at the Brooklyn Botanic Garden. You could also consider the Dyker Beach Golf course, which is conveniently located right near the Verrazano-Narrows Bridge. I also love the lovely Prospect Park Picnic House for a scenic wedding venue! Pretty much everywhere in Prospect Park is gorgeous! If a winery is what your wedding calls for, check out the Brooklyn Winery. It’s a wonderfully unique space, with a very Brooklyn style vibe. If you’re set on a hotel venue for your wedding, look at the New York Marriott at the Brooklyn Bridge. It’s located in a great part of Brooklyn! The Hilton Brooklyn is also a great choice. For a more boutique hotel experience, check out the Wythe Hotel. The Sheraton Brooklyn New York Hotel is also a spectacular choice for a city wedding. If you’d like to be close to the water for your Brooklyn wedding, check out Smack Mellon in DUMBO. The River Cafe is also located in DUMBO, with spectacular views of Manhattan. I also love shooting at the Liberty Warehouse in Red Hook. 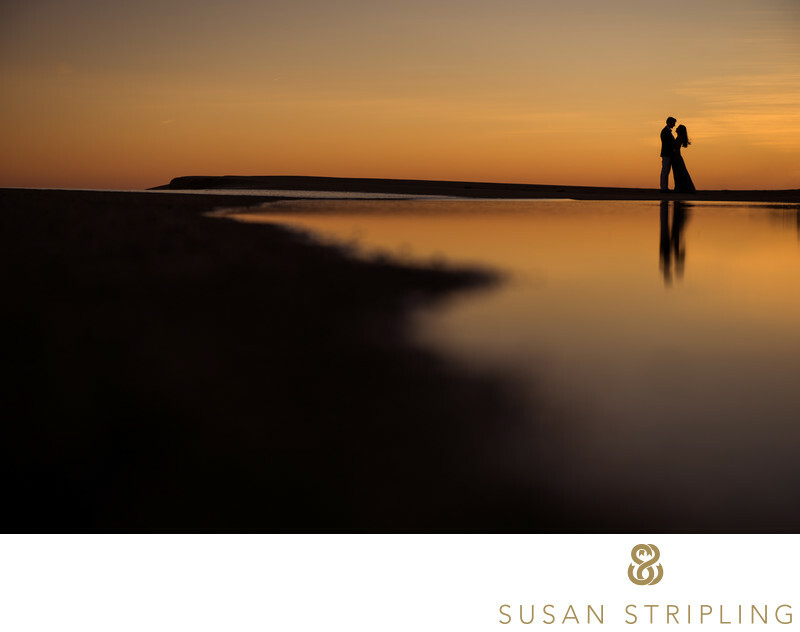 The venue is located right on the water, and the sun sets just over the ceremony space. It’s truly amazing there. If you’re drawn to rustic charm, The Green Building in Gowanus would be an amazing venue to check out. After you visit there, walk across the street and take a look at 501 Union. It’s also a wonderful wedding venue! Another important thing about being a Brooklyn photographer is knowing great locations for engagement pictures in Brooklyn. It’s also crucial that I can suggest locations for wedding day pictures in Brooklyn. You might want to take wedding day pictures in Brooklyn if you are getting ready here before your wedding somewhere else, perhaps in Manhattan. You might also want to take your wedding photos in Brooklyn if you’re getting married here, even if you’re getting ready somewhere else. I’ve even had Manhattan clients get ready, get married, and have their wedding reception in the city, yet come to Brooklyn for their wedding photos! 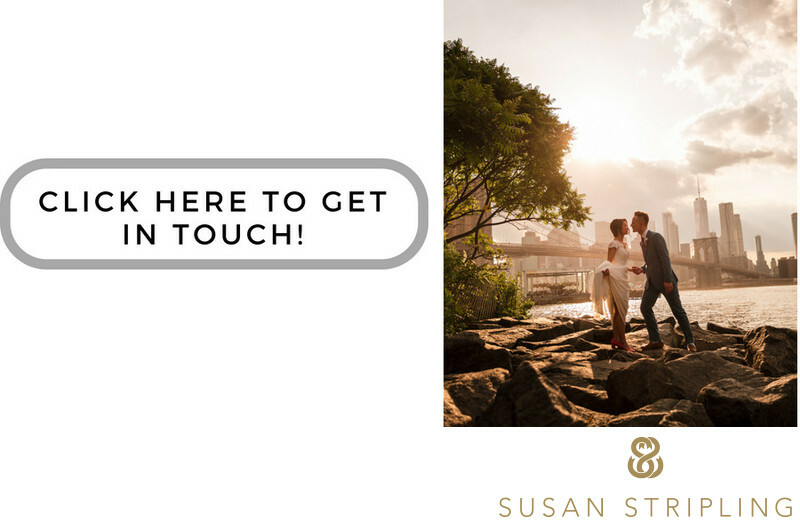 It is so important to me that I help my clients find locations for their Brooklyn wedding photos that I actually created a whole page on my website dedicated to wedding day photo locations in New York. It goes over my favorite locations, and has a part entirely dedicated to Brooklyn. I talk about how beautiful it is to have your wedding photos taken by the water in DUMBO. I am especially fond of the cobblestone streets, views of the Manhattan and Brooklyn bridges, and beautiful green areas by the water. I talk about the gorgeous view of the Manhattan skyline from Sunset Park. Located close to my studio, Sunset Park is a quiet gem of a location in the bustling heart of Brooklyn. 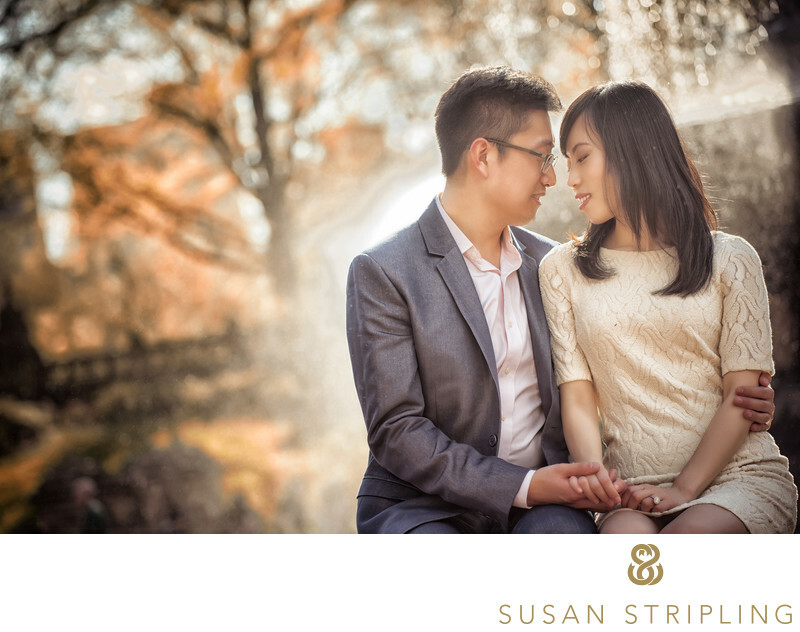 I discuss how much I love taking wedding, elopement, and engagement pictures in Prospect Park. The foliage here is so beautiful at all times of year. 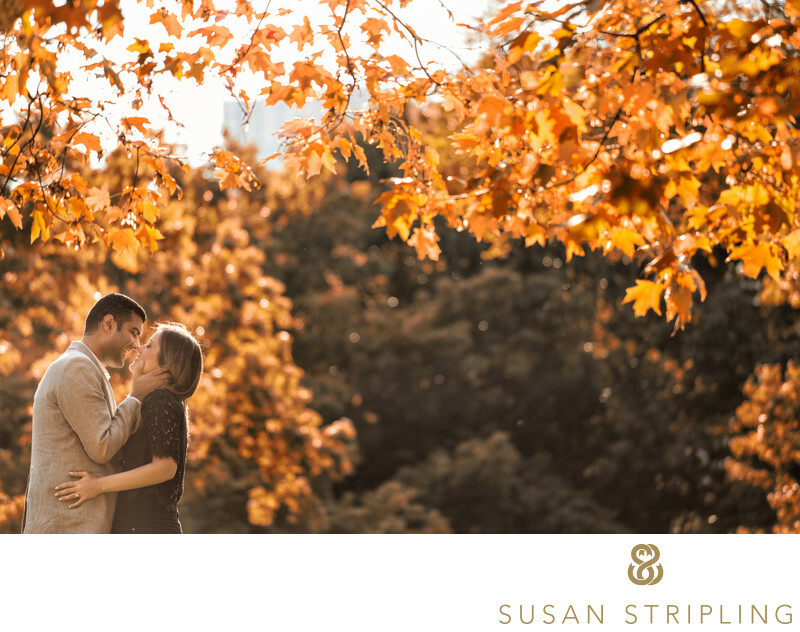 Whether you want your wedding day photos taken with the cherry blossoms at the Brooklyn Botanic Garden or the fall leaves over Prospect Park, you cannot go wrong with wedding photos here! 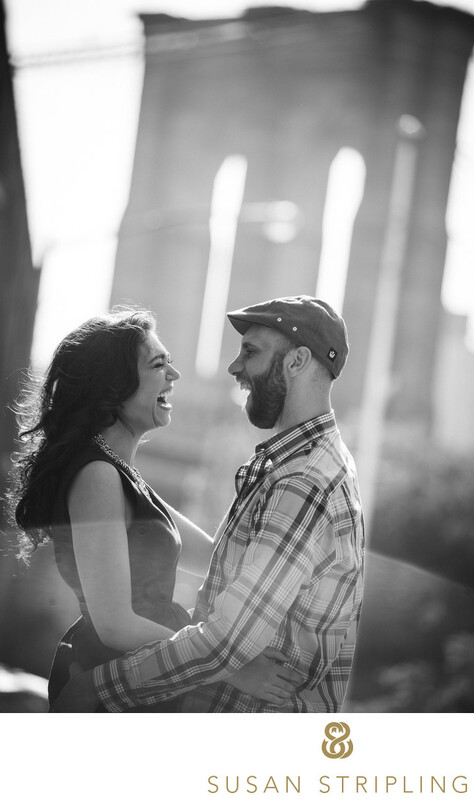 I also love taking wedding day photos and engagement photos near my studio in Industry City. It’s almost mind-boggling how many amazing photo spots are near my studio! There are cobblestone streets with their iconic New York charm. There are industrial backgrounds with metal and fire escapes and graffiti. There are trees and beautiful greenery. There are views of Manhattan. It truly is the ideal Brooklyn photo spot! You can start your search for a Brooklyn photographer on Google. That’s how many of my clients find me! You can also search for Brooklyn photographers who specialize in weddings by searching popular sites like The Knot and Wedding Wire. Each of those sites helps you find a Brooklyn photographer by giving you search criteria to narrow the field. You can filter the photographer search by start price, picking from a wide range of prices. You can also search by style, namely Contemporary, Photojournalism, or Traditional. You can then sort your search by average rating, number of reviews, or name. You can go to Fearless Photographers and search there. You can search via New York Wedding Magazine, and their list of featured vendors. You can ask your venue, or your wedding coordinator. You can look on Google Maps and Groupon. There are dozens, if not hundreds, of ways to search for a Brooklyn photographer. 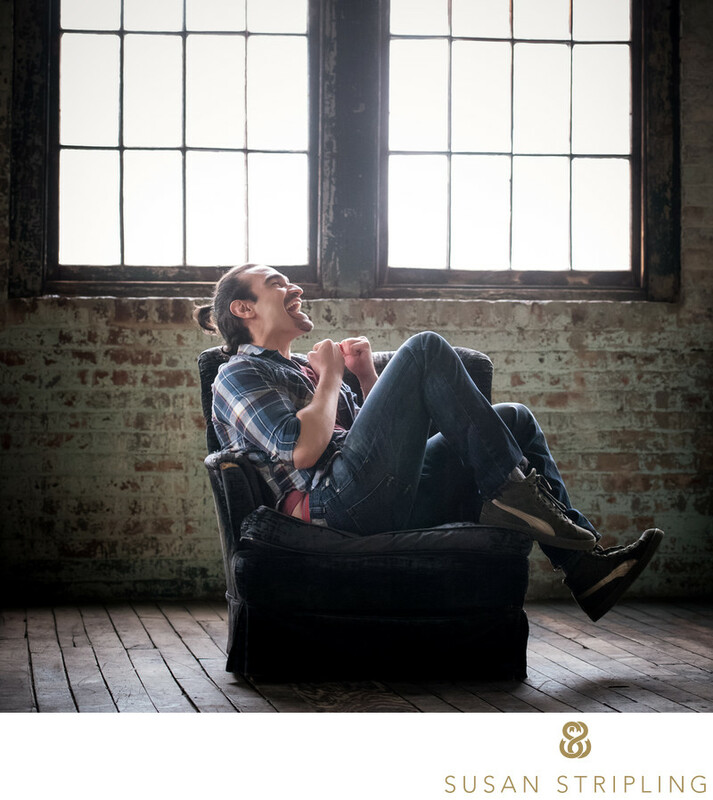 I would recommend that you begin your search for a Brooklyn photographer by asking family and friends. Nothing beats the power of an in-person referral from someone that you know and trust. It’s especially helpful to ask close friends and family who have been married recently who they worked with. Make sure that you ask for referrals from friends and family members with a similar aesthetic to yours! If your best friend is a super traditional person and you favor documentary photographer, her wedding photographer might not be the best choice for you. You can also ask your already-hired wedding vendors if they have a vendor referral list. On my wedding photography website, I have a list of common wedding vendors that I love to work with. 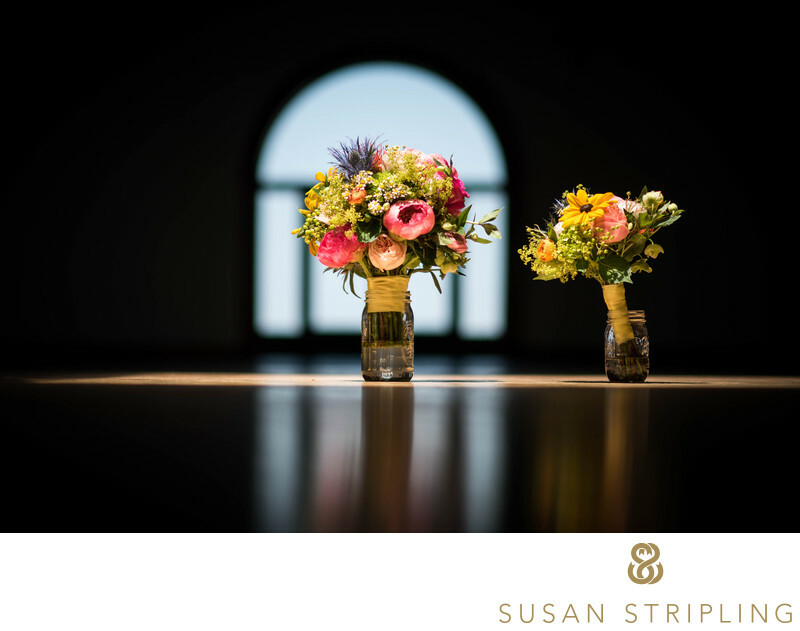 I am thrilled to refer my wedding photography clients to event coordinators, hairstylists, makeup artists, wedding cinematographers and videographers, florists, bands, DJs, calligraphers, and so many more. 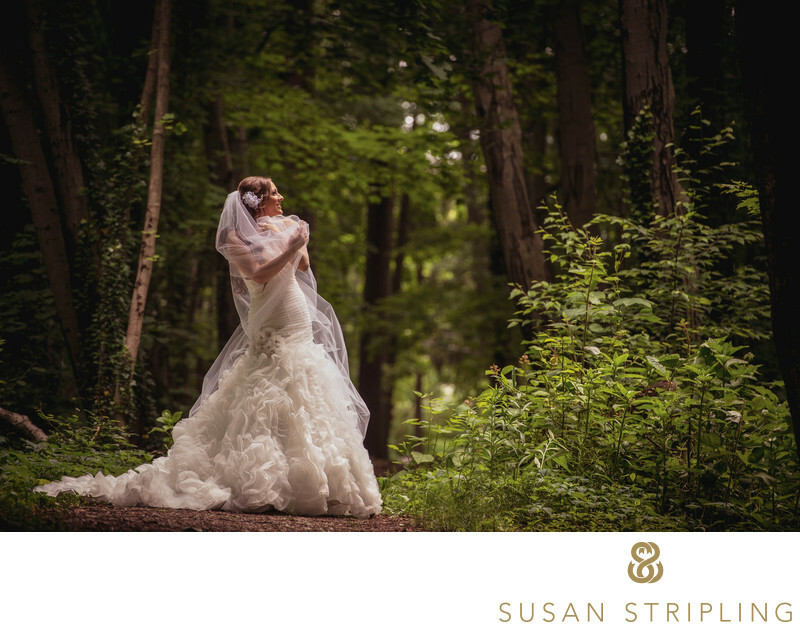 I often receive wedding photography referrals from venues that I have worked at in the past. Wedding coordinators that I have worked with before also often refer me to future wedding's clients. It is great to ask vendors are you are already working with and have established a relationship with who they think would be a good fit for you. 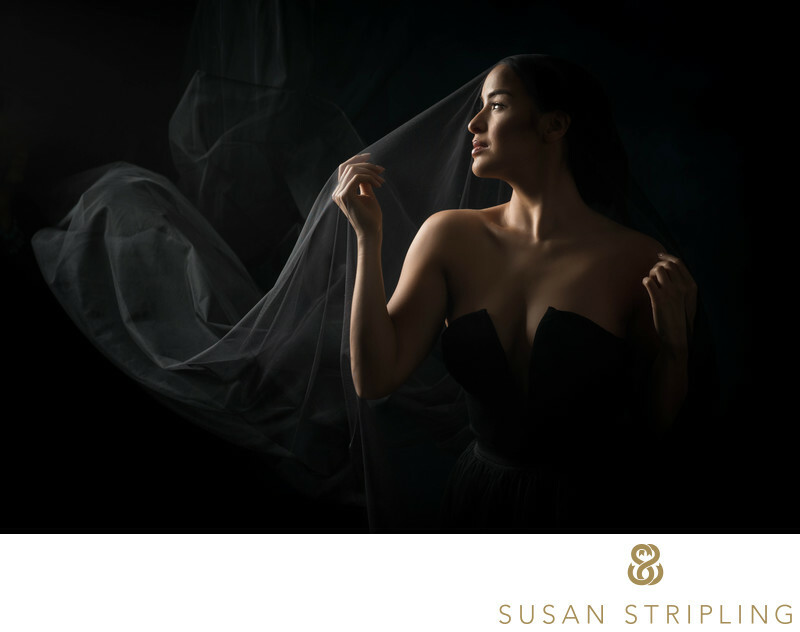 Whenever I am referring a wedding photography client to another vendor, I already have a good understanding of who they are and what their needs are. This helps me refer other vendors that I think would be a great fit. I know that other vendors do that when referring wedding photographers. 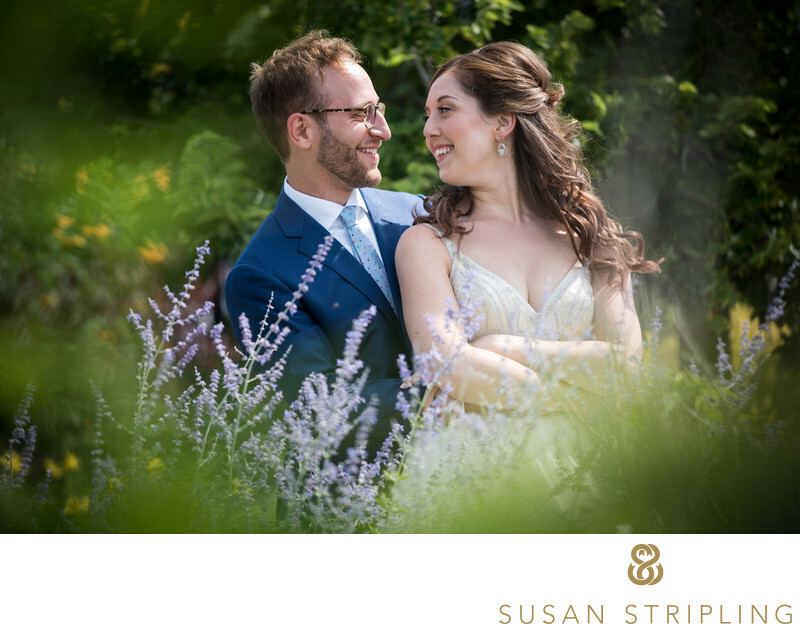 I feel very fortunate to have the wonderful working relationship that I do have with many other Brooklyn-based wedding vendors. Once you have obtained referrals from friends, family, and other wedding vendors, it’s time to start doing some research! I highly recommend doing a basic Google search on any Brooklyn photographer that you are considering for your wedding photography needs. You’ll find a wide range of review sites for wedding vendors online. Some are very popular, such as Wedding Wire, The Knot, and Yelp. 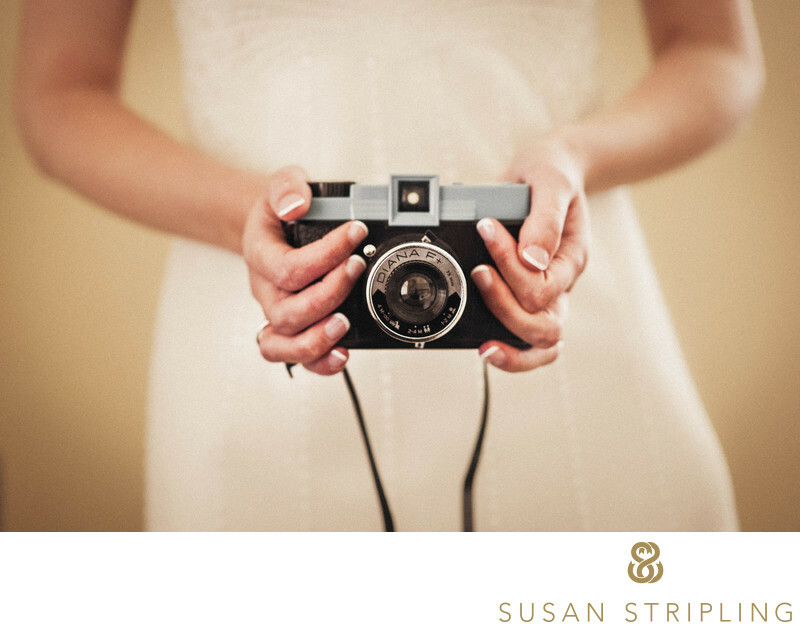 Many wedding photographers have an abundance of reviews online from past clients. Some wedding photographers, while extremely popular, have less reviews. I never solicit reviews on wedding vendor sites from my clients because I simply do not want to bother them to market for me. 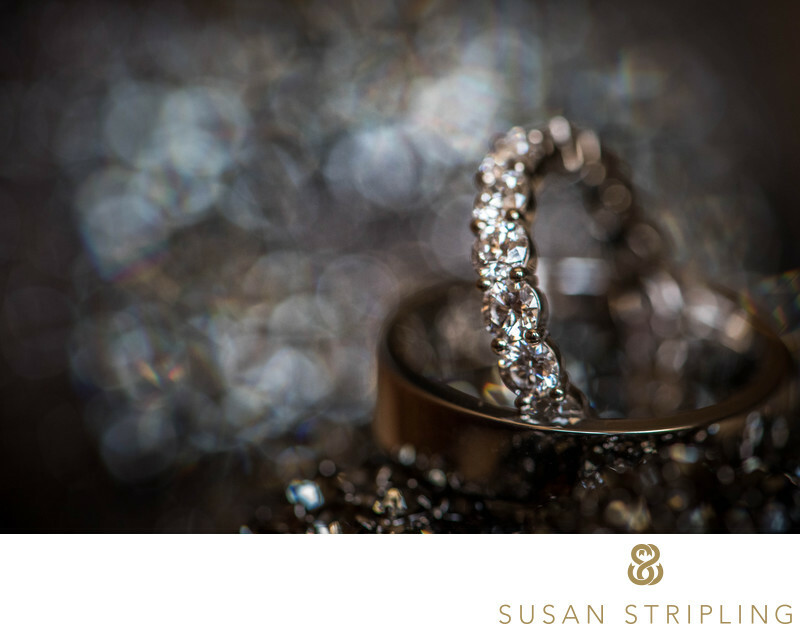 It is always a wonderful honor when past wedding clients and their families go on these review sites to say such kind words about their experience working with me. When I am not photographing Brooklyn weddings, I love spending time in this incredible borough. I truly feel that I am a more well-rounded photographer because I spend time looking at my surroundings and taking pictures of everything I see. 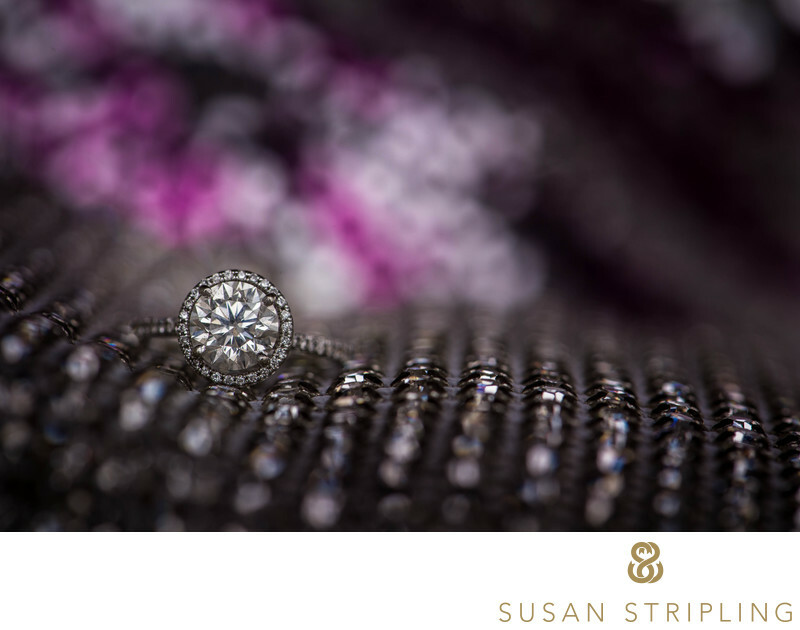 Every bit of photography that I do simply serves to strengthen my skills as a wedding and portrait photographer. In my spare time, I love taking on personal photography projects. 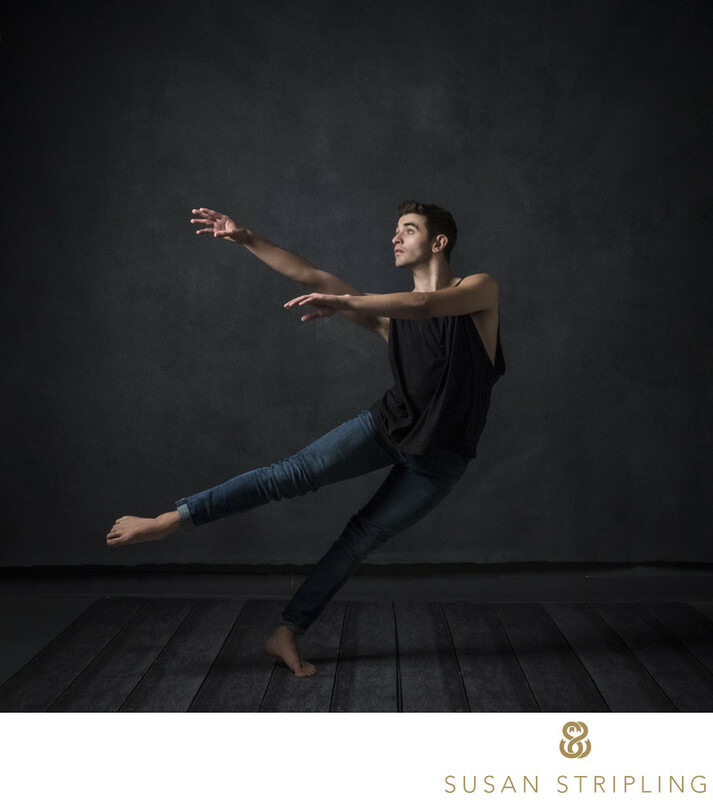 I do a lot of photography work with dancers, actors, actresses, and performers in the Broadway and off-Broadway community. I love photographing these portraits in my Industry City studio. I also love being outside the studio and photographing portraits throughout Brooklyn. Some of my favorite places to photograph in Brooklyn include Prospect Park and Greenwood Cemetery. Since I am a resident of Windsor Terrace, both of these locations are incredibly close to my apartment. I still remember the first time I visited Greenwood Cemetery as a chaperone on my daughter’s fifth grade field trip. I was completely blown away by the incredible elegance of this historic landmark location. I love visiting greenwood Cemetery in my spare time, and photographing its extraordinary beauty. 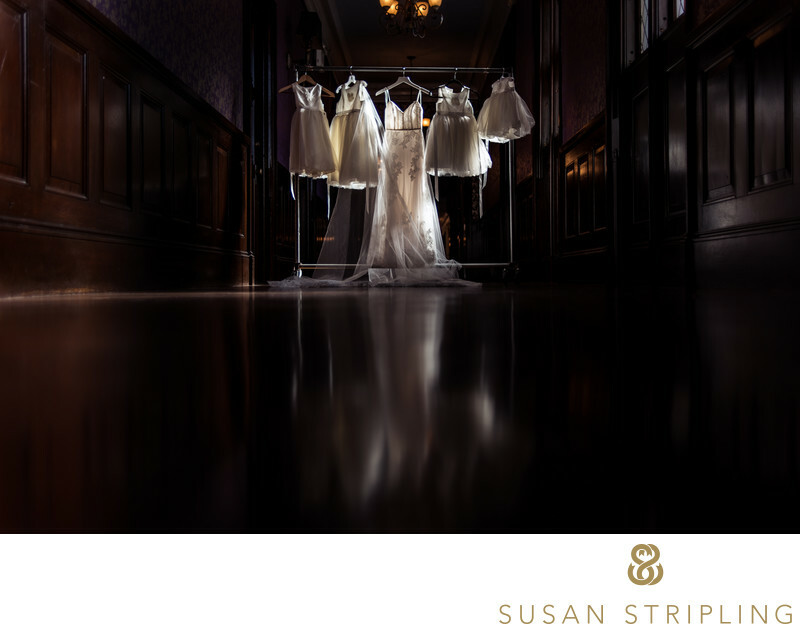 Much of the fine art work that I have done in this location has served to deepen the fine art feel of my wedding photography work. 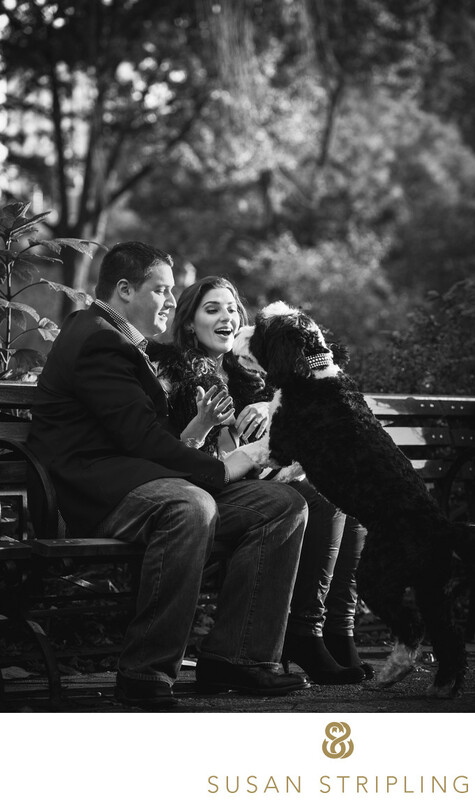 I have also photographed many portraits in Prospect Park. Some of these portraits have been wedding related. Some of them have been portraits of families and their children. Some of them have been work for my theatrical photography portfolio. I am always drawn to the beauty of Prospect Park, no matter what season. I love how beautiful and delicate the light in Prospect Park is during the spring months. I love how lush and green the foliage is in the summer. I love taking a walk in Prospect Park during the first snowfall of the winter, and seeing how the ice and snow cling to the trees. I love Prospect Park best, however, in the fall. Is hands down my favorite location in all of New York to take wedding, portrait, and engagement images at this time of year. The trees absolutely explode in a riot of orange and red color. I find Prospect Park to be a much more photogenic location than Central Park. It is also much quieter, and much more secluded. Every once in a while, I venture outside of my neighborhood to take photographs in other locations of Brooklyn. I have rented a variety of fantastic industrial loft spaces in both Greenpoint and Williamsburg. They were great backdrops to the gritty, journalistic portraits that I was commissioned to shoot in those locations. I like to go near the water and take a walk on the Brooklyn Promenade. I’ve taken many excellent images of the skyline here, and gotten some great ideas for wedding photos. It is always a treat to visit a place for pleasure and then go back for work purposes. It’s awesome to put ideas into practice! Sometimes I’ll see a scenic spot or a great sunset, and go back there later for engagement or wedding pictures. The Promenade is an awesome spot for photos, especially Pier 1 and Brooklyn Bridge Park. I love taking a walk on the Brooklyn Bridge and observing the city and it’s inhabitants. Doing street and city photography in Brooklyn really continually teaches me to observe my surroundings. This truly helps my skills as a wedding photographer! It might be funny to include a section on why Brooklyn is awesome under a picture describing being a Brooklyn photographer. What does Brooklyn being awesome have anything to do with photography? I think that living and working in such an incredible location makes me a more well-rounded person, and a more well-rounded Brooklyn photographer. Brooklyn being amazing also goes a long way towards hosting your wedding in this particular borough. Having out of town guests staying here for your wedding means that they will spend a good deal of time here. It’s great to have such wonderful restaurants, landmarks, fun places to visit, and cool things to see in the same location your wedding will take place! 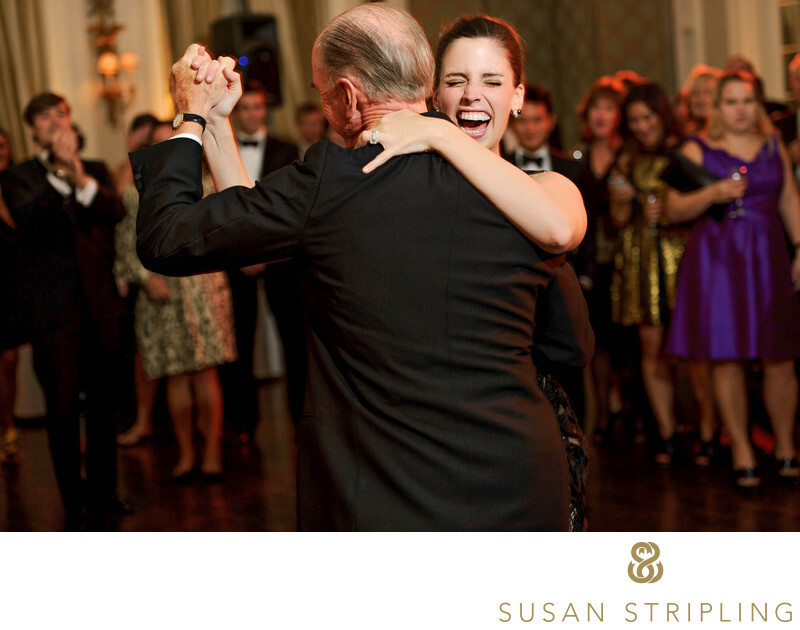 I love hearing from wedding clients that their guests and family loved their time in Brooklyn. Brooklyn has incredible restaurants, and the food scene is stellar. Amazing restaurants like Barboncino, the Red Hook Lobster Pound, Walters, Le Barricou, Colonie, Bergen Hill, James, the Vinegar Hill House, Frankies 457, Five Leaves, Peter Luger, and Meadowsweet are all based in Brooklyn. Brooklyn also has Smorgasburg…and who doesn’t love Smorgasburg? For out of town guests, there are dozens upon dozens of walking tours of Brooklyn. All are great fun. You can take a walking tour of Brooklyn food carts. You can do half-day Brooklyn food and wine tours. You can do dining and drink cruises around the city. You can walk to Manhattan via the Brooklyn Bridge on a historical tour. You can tour the Navy Yard. And these are just a few of the awesome tours you can take in this amazing borough! The parks in Brooklyn are also wonderful places to visit and be inspired. 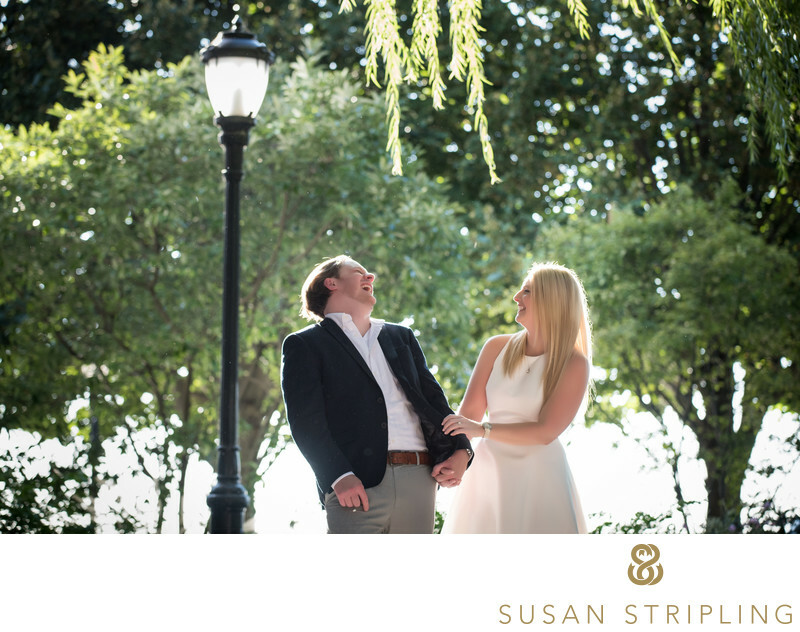 Not only are they great locations to take wedding photos, they are great places to take a picnic, a walk, or a tour. From Brooklyn Bridge Park to Prospect Park, Cadman Plaza Park to Transmitter Park, there is a park for everyone. I love taking walks and pictures in Sunset Park and Manhattan Beach Park. I love Columbus Park and the Canarsie Pier. There are amazing photo locations in Sunset Park, Marine Park, McCarren Park, and Fort Greene Park. Brooklyn has a great reputation for being a hipster industrial paradise, but don’t forget these gorgeous parks! If your wedding guests want to attend a sporting event or a great concert, check out the Barclays Center. I’ve attended many concerts here, and it’s a truly gorgeous space. I love that Brooklyn spans everything from the city to the beach. You can go to an amusement park in Coney Island, and the next day you can walk the cobblestone streets of DUMBO. Where else can you find such a versatile place to host your wedding? Where else can you gain such amazing inspiration as a photographer? I never thought I would find myself living in Brooklyn. I was born in the South, and raised in the South. I went to college in the South. I lived for years in Tallahassee, Florida. I was a southern girl, through and through. The summer between my junior and senior years in college, I moved to Manhattan. I crashed on the sofa of an alumni of my college, I took a job as an intern in a Broadway theater. I worked for the Roundabout Theatre Company for several months that summer. I spent a few weeks in the casting department, and a few weeks in the education department. I spent a lot of time at Broadway theaters. I loved my summer as a college student in the city. I saw says, acted like a tourist, eat food from everywhere, and soaked in everything that Manhattan and Brooklyn had to offer. I still remember the first time I walked across the Brooklyn Bridge. Brooklyn wormed its way into my heart that summer, and even though I left to go back to college in Georgia, I always thought that I might be back. I met Brooklyn again just after my college graduation. I moved there for a few months before moving back to Florida. I knew it the time that it wasn’t the right point in my life to be a city dweller, but I also knew that I would be back one day. Even after starting my wedding photography business in Florida, I still yearned for the bright lights of the city. I would occasionally take a wedding in Manhattan or Brooklyn, and relish my time back up north. I am so happy to have been living in Brooklyn for the past nine years. I love being a Brooklyn photographer. I love everything that this wild, crazy, dirty, chaotic, and exhilarating city has to offer. I love my apartment in my neighborhood. I love my neighbors and community. I love my studio. I love that every day I get to know Brooklyn a little bit better. I would love to talk to you about why you got on the Internet and started searching for a Brooklyn photographer. Are you getting married? Are you about to propose? 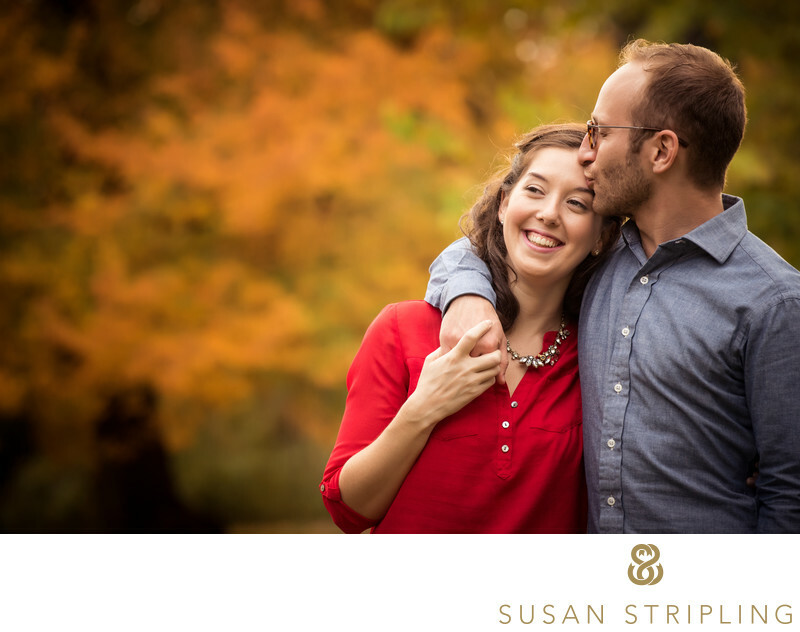 Are you engaged, and looking to take engagement photos? Are you an actor, looking for head shots? Are you looking for family photography, baby photography, or images of your children? Please feel free to drop me an email to the contact page of my website. You can also give me a call. I hope to hear from you soon! 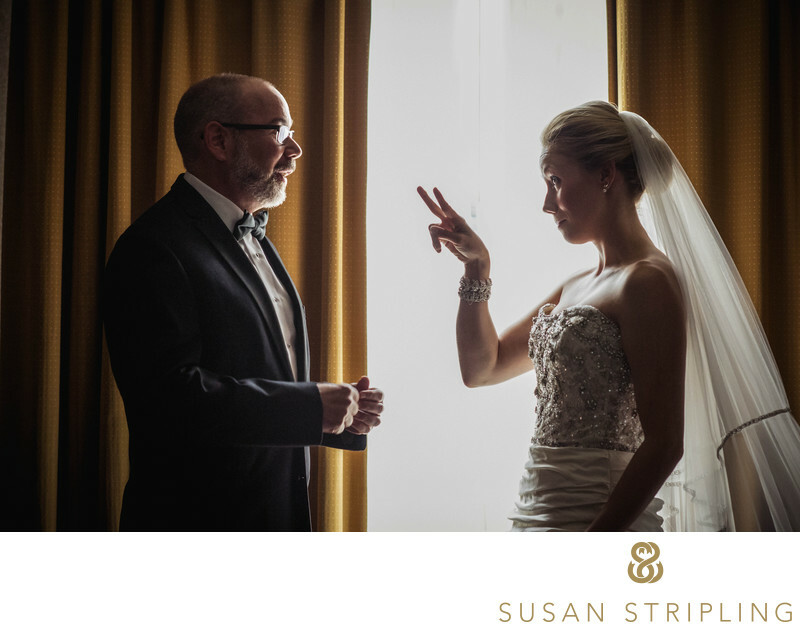 Keywords: bride and groom together (756), Huntington (183), moment (726), new york (1395), Oheka Castle (225), prep for portfolio (249), wedding (3357). 1/160; f/2.0; ISO 1600; 35.0 mm.